Have you heard the saying: “if it looks too good to be true – then it is”? A few weeks ago I saw an ad on Facebook – it said “get a watch for free.” Now I love watches – I have quite a collection – not expensive watches – my favourite is a Seiko 5 mechanical watch with a glass back so you can see the ticking mechanism – it cost be £35 on eBay. So when I saw this ad on Facebook for a free watch I thought – how does that work – perhaps it’s a con, perhaps it costs £50 for postage, I don’t know but I was intrigued to find out what their angle was – so I clicked on the link – and yes they wanted £5 postage – just £5 per watch, so I ordered two and waited to see what happened. I thought I will pay £10 to see what’s going on here. They sent me several emails offering watches that cost £60 or £100 so perhaps that was their angle- they were really buying my contact details – buying me as a customer with the free watch offer. Well the watch finally arrived last week – here it is. 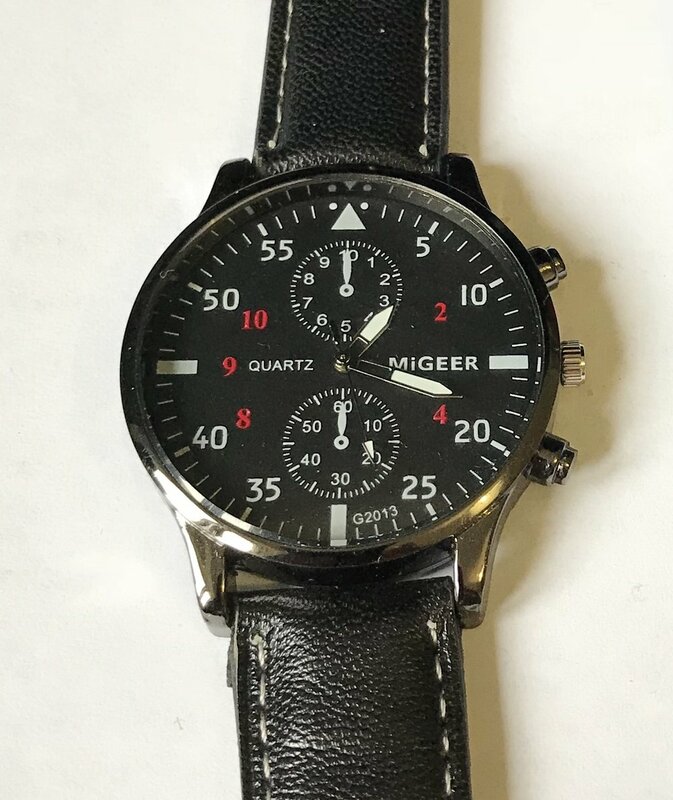 Looks cool- it ticks and keeps good time – now do you notice the two sub dials – they are called complications on a watch – extra displays on a clock face. This watch is a chronograph – with the two subdial complications – one for counting minutes and the other for counting hours when you use it as a stop watch – and there are two pressers or buttons on either side of the crown – start stop and reset for the stopwatch function. Except on this watch – because these extra two pressers do nothing – they are pure decoration – and the two complications on the dial – they are just painted on – they do nothing either! Well now I know why that watch was given away for free – they must have made £4 profit after postage! As the saying goes – if it looks too good to be true – then it is! Is that a true saying? Is it really always true? I was at a conference last month with my wife Lydia and we were walking through the exhibition area and lots of businesses had stands and booths. A lady on one of the stands said hello to my wife and offered her a free book – Lydia said" thank-you, yes" and was handed a hard-back book by an author we both really like. Then Lydia starts chatting away to the lady on the stand (she can chat to anyone – me I’m not great with the small talk but Lydia just makes friends instantly) anyway she says, the lady on the stand says – that it’s surprisingly hard to give away a book – people say no – they think there is a catch – that it’s too good to be true. So if your belief is: “if something looks too good to be true – then it is” then your subconscious mind will reject the idea or opportunity without you even thinking about it. It is not always true that if something looks too good to be true – then it is too good to be true. Sometimes – that is true – sometimes it is not – but you need to evaluate the opportunity and then decide. The opportunities you do not take is one big area that is holding you back. John Maxwell says that opportunities are never lost – they are just found by someone else! Have you seen that to be true in your life? Do you see other people succeed in doing something that you thought about but never did anything about? There’s a great saying I heard just today – you will never plough a field by turning it over in your mind! I love that – yes we do need to think things through – but then we need to take action! There are opportunities every week – probably every day – opportunities to make connection, opportunities to increase your impact and influence – opportunities to help someone and be helped in return – and we just don’t take them. Why is this? Some of it is lies we believe – like – if something looks too good to be true… We have been spoiled by scepticism – we’re so busy looking for the catch that we miss the opportunity. Another reason might be fear. Maslow said that when we get presented with an opportunity we will either step forward into growth or step back into safety – step back into our comfort zone and stick we what we know. This holds us back, it is a brake on our business, it is a brake on our career. Stop giving away your opportunities to other people – they will not help you achieve your goals and dreams. The great Jim Rohn said: if you don’t have your own life plan, the chances are you will fall in with someone else’s plan – and guess what they have planned for you? Not a lot! Reason number one why your business or career is not taking off in the way you would like, is all the opportunities you do not take – perhaps you are not even looking for them – perhaps it’s fear. Perhaps it’s something else – either way – it is a pattern of behaviour that you will need to change if you want to take the brakes off your business. Like Wayne Gretzky said – you miss 100% of the shots you don’t take! So, start taking more shots! This week you will be presented with opportunities large and small – do not dismiss them out of hand because you assume that they are too good to be true or you assume that they will be too hard or scary. When Roger and I started working together and launched Empowerment Mentoring – we wanted to be able to impact as many people and businesses as possible. 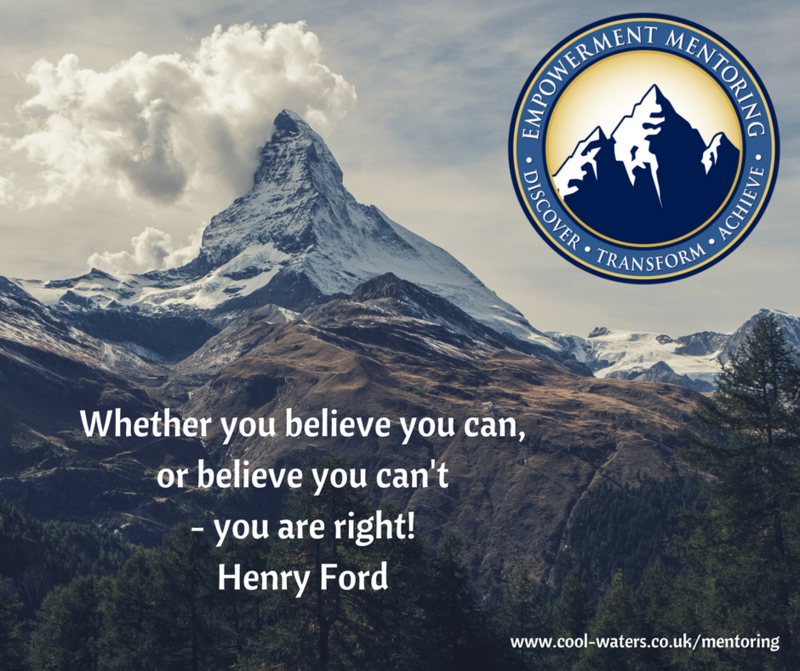 We asked ourselves, how could we empower entrepreneurs and career professionals all around the world – how could we offer coaching and personal development to hundreds or thousands of people who perhaps have never tried it before – perhaps thinking they do not have the time or do not have the money to engage a personal or business coach. To work with us on a 1-2-1 basis for personal coaching typically starts at several thousand pounds – and we know that not everyone is in a place where they can spend that today – even though we know the return on that investment will be worth many times that in their career or business. The traditional model to doing coaching – going to sit in a room with someone - might mean we could work with two or three people a day – but what if we wanted to help a thousand people - every month! – could we do that? As I teach in my Goals Course, one of the mistakes people often make when setting goals is to set easy goals, that they already know how to meet. So, we set ourselves a goal that was the opposite of easy – to coach and mentor, serve and support a thousand professionals and entrepreneurs – every single month! And that is what we are going to do – through our Empowerment Mentoring programme. We didn’t know how we were going to do it when we started – but we’ve worked it out, and – even if I say so myself – it is amazing! The heart of Empowerment Mentoring is our teaching teleseminars (or conference calls) which take place every month and we start with a 45 minute teaching session where we address personal development and growth. Then we have an open Question & Answer and Coaching session. We unmute the lines one at a time for the people who have said they want to ask a question and we then spend time working through that question and its implications. And on the next call we will follow up with you to see how it went. You don’t have to ask a question if you don’t want to – no-one is pressured into anything – and often people find that someone else asks as question and the answer is really helpful to them as well. We generally use voice only not webcams – no-one can see you – you don’t even have to get dressed – we don’t know you are sitting in your dressing gown! Our teaching call is recorded and you can get that call, and download the MP3 to listen again on your phone any time or listen again on the Empowerment Mentoring website – we also type up the transcript of the call and make that available as a PDF for you to download if you wish – I know sometimes it’s useful to be able to read something a couple of times so that you can really digest it and get your head around it. If you want, you can print up all the transcripts and make your own binder full of personal development teach and journal your notes in the margins. We also have a range of other resources you can download from the website – that is growing all the time – and a private online Facebook group where you can contact one of our coaches or encourage and support other community members whenever you want. In empowerment mentoring we are only interested in each other’s success – we have an abundance mentality – there is more than enough for everyone – we do not compete with each other, ever. Now you might be waiting for the shoe to drop – perhaps you are thinking – Mark, Roger –that all sounds great – really useful – but I don’t know if I have time to fit it in. Well that’s the beauty of our approach – because all the live events are recorded, if you are not available to join live, you can access the recording at any time – just like using the iPlayer – but unlike the iPlayer our recordings stay around forever – and only people in Empowerment Mentoring can access them. At the moment, our main call is at 8 am on Saturday morning – so you can get up and join in and be finished early and get on with your day – or catch the recording later when it suits you. We will be adding more calls at other timeslots as our membership grows. How much do you think all this is worth? … A thousand pounds – six hundred – twelve hundred? What will the effect be on your impact, influence and income when you take the brakes off your business or career? Do you know that there is a difference between what something is worth and what it costs? When we designed this programme, our priority was to make it as accessible as possible – everyone should be able to afford it – everyone should be able to fit it into their week… We wanted it to be worth way more than it costs. Empowerment Mentoring costs just £24 a month (£20 + VAT) – that is less than you pay for your mobile phone or your monthly Starbucks spend! There is no contract, no lock it – we believe you’ll stay because you get tremendous value from Empowerment Mentoring – we don’t need to tie you into a contract. When you join Empowerment Mentoring you get instant access to the library of call recordings, and access to all the future live calls and the additional resources available for you to download on the website. More importantly you are joining a community of like-minded professional and entrepreneurs who are friendly, supportive and keen to see you succeed. Why would keep the brakes on for another day?